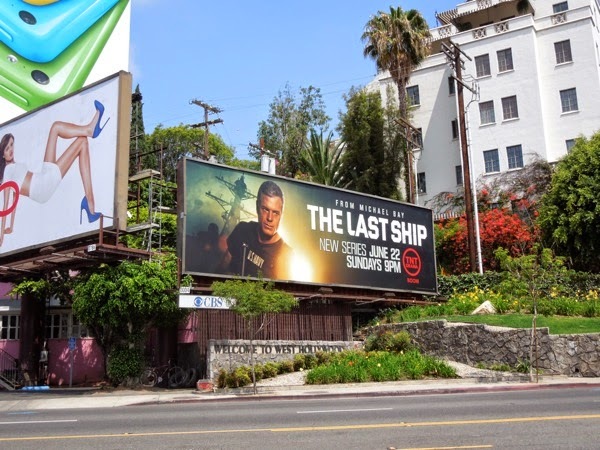 Grey's Anatomy may have killed off 'McSteamy' in a plane crash, but he's back on the small screen in a new post-apocalyptic plague thriller, The Last Ship. 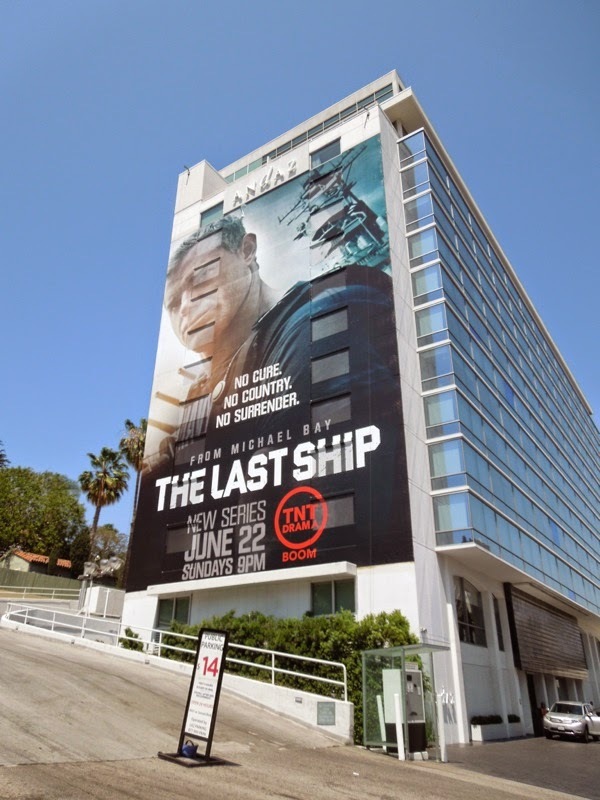 Michael Bay presents Eric Dane, Rhona Mitra and Adam Baldwin as the crew of a lone U.S. naval destroyer who must find a way to save humanity from extinction after a global pandemic wipes out 80% of the Earth's population. Their mission is simple. Find a cure, stop the virus and save the entire world. 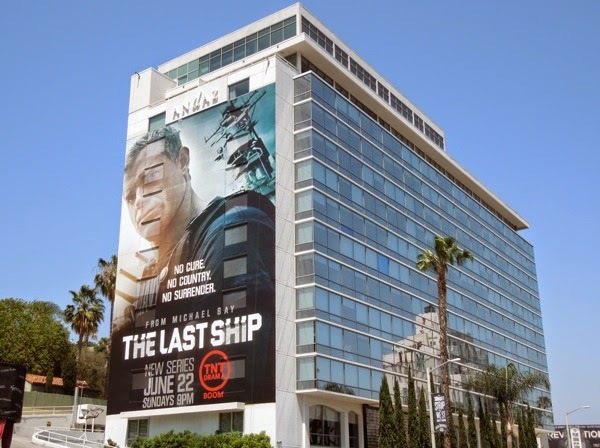 So, no pressure then. 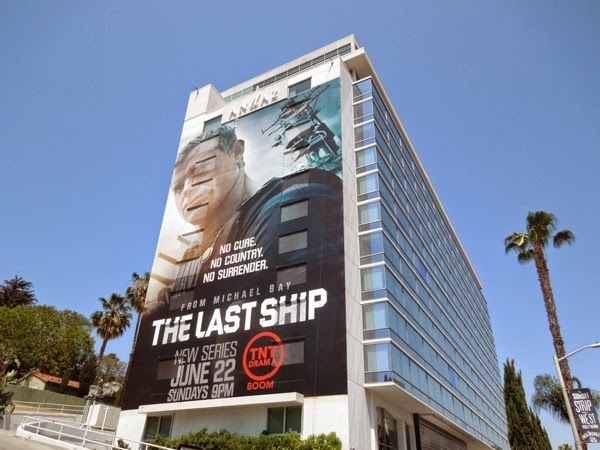 Based on a novel of the same name by William Brinkley, it sounds like an interesting premise and you can see why it would work as an episodic television series with more time to explore the ramifications of a world-destroying epidemic, rather than a simple two-hour movie. 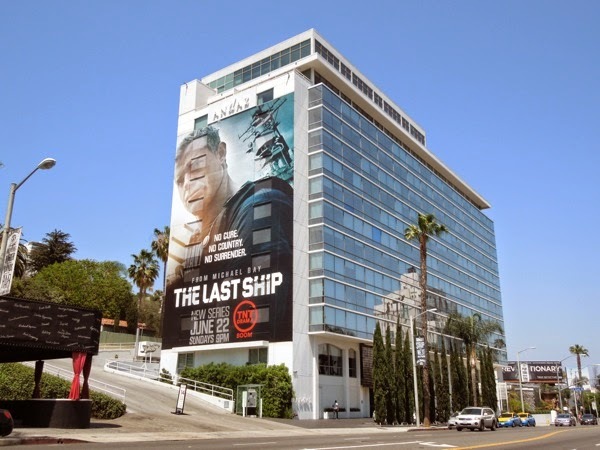 The giant-sized billboard for the series premiere was snapped on the side of West Hollywood's Andaz Hotel, whilst the landscape ad creative was spotted further west along the Sunset Strip on May 26, 2014. 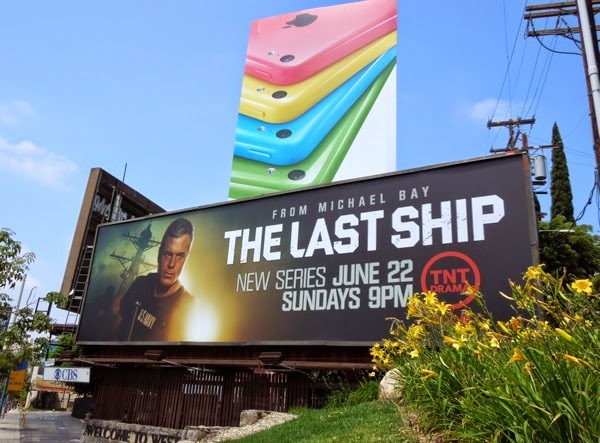 If you like the sound of this new TNT series, you may also want to check out these Contagion movie billboards and Battleship film billboards. 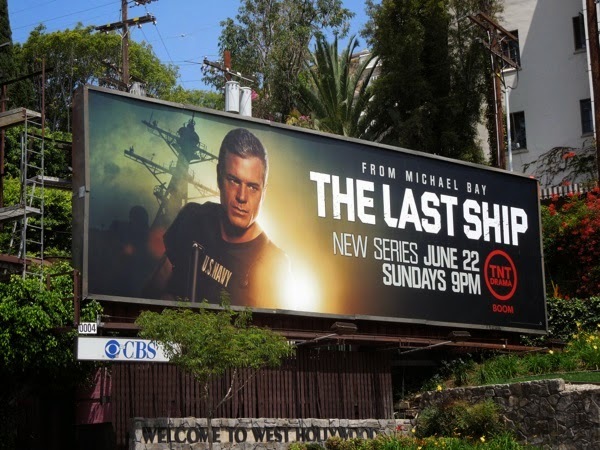 Let's hope The Last Ship takes us all on an engaging new voyage and is not merely a stinker that deserves to be sunk.